A no compromise integrated amplifier for those on a budget, with all the power and quality of the Stereo 40. Also includes a headphone socket. - Hand wired point to point components, no PCB to 'colour' sound. 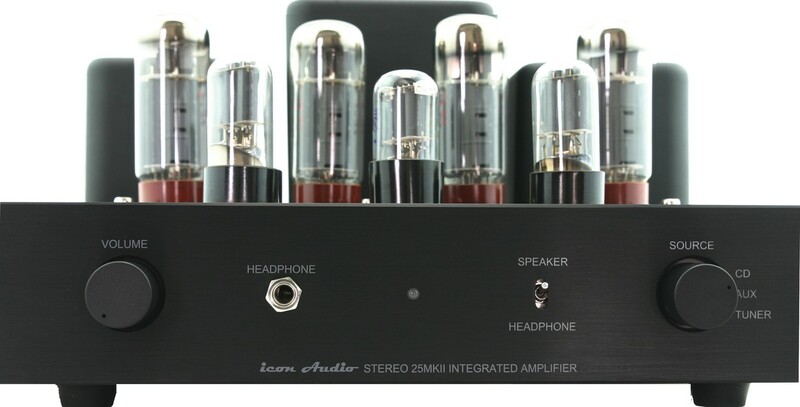 The Icon Audio Stereo 25 MkII integrated valve amplifier is an entry level version of the award winning Stereo 40 at almost half the price, featuring 30W per channel. The Stereo 25 features all the performance you would expect from Icon Audio, including wide bandwidth, smooth dynamics and the ability to deliver very musical performance. The Stereo 25 simply does away with some of the more expensive features of the Stereo 40, without compromising the basic design. 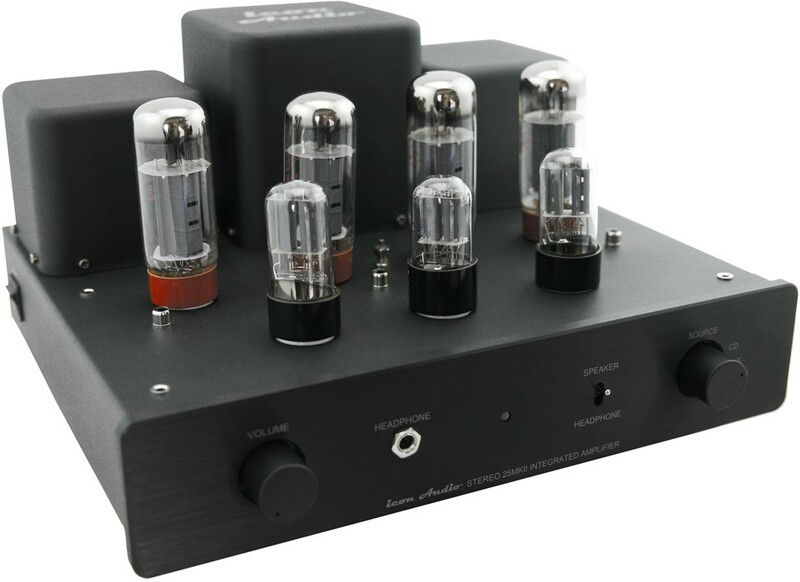 Why buy this valve amplifier? 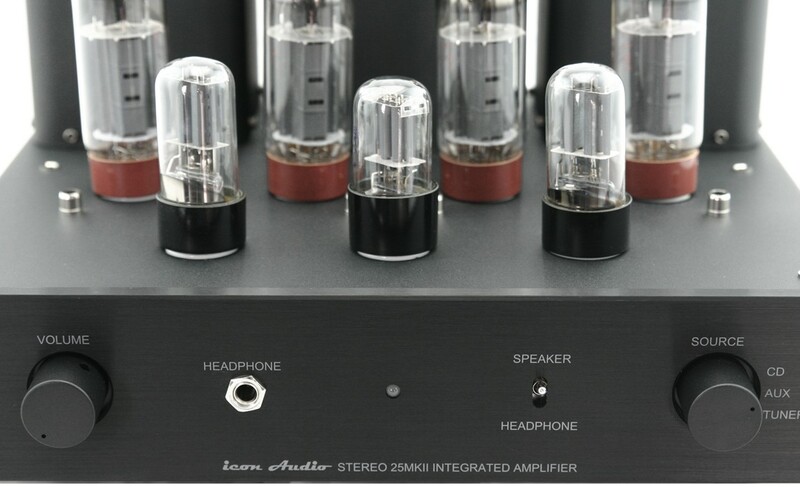 The Stereo 25 MkII uses a circuit inspired by the H J Leak 1950’s amplifiers, a combination of traditional design, excellent valves, audiophile components, custom transformers, power supply with beautiful looks all adds up to a stunning combination. The simplified bias circuit means that providing you use replacement valves of the same type, no bias checking is required. However, unlike older British amplifiers, very little heat is generated under the chassis to degrade other components and waste power. 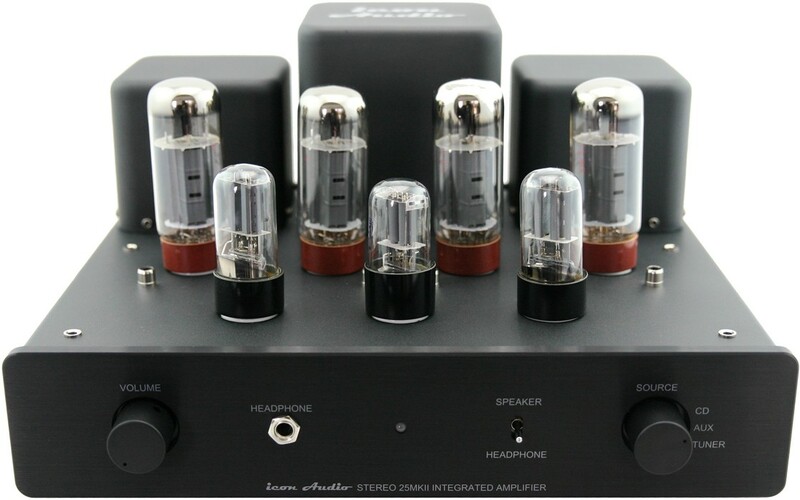 In addition, this valve amplifier is exceptional value for money, offering stunning Icon Audio sound and build quality at a much lower price than you'd expect! The Stereo 25 MkII is a superb introduction to the romantic, warm sound of valves. 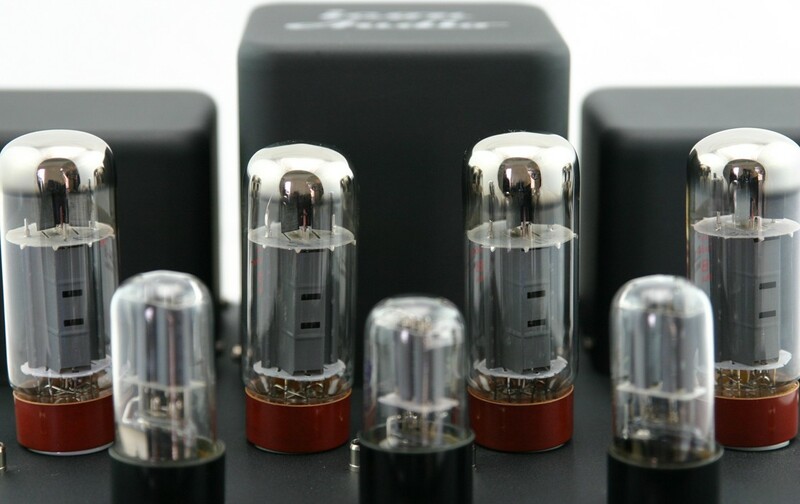 The characteristics of a simple pure valve amplifier bring out the warmth and colour of music. You get a smooth and detailed sound stage which works well to bring out the colour and texture of older recordings and whilst not overemphasizing the harshness of many modern digital recordings. 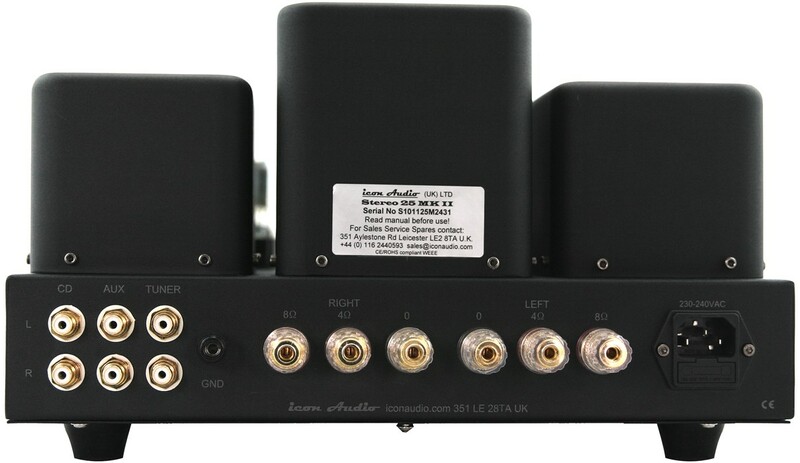 This makes for a very easy to live with amplifier that still has plenty of power to control modern speakers. Purchased this model with KT88 implants earlier this year (March 17). Superb performance but needs careful speaker choice as many so called high end units don't cut it. However, if you ... can demonstrate with a wide range of quality boxes do so as I feel you will not be disappointed. Clarity and presence are to be applauded and has given a new lease of life to my system, despite some sources being of older design and I previously suspected to be of lesser stuff. If you have the cash to go for Icon MFV series speakers you will love your music once more!